During Christ's ministry upon the Earth he brought light back to a world where many had stopped living the commandments of God. He proclaimed the gospel and called upon twelve men to be his apostles, including Peter, James, and John. After Christ's death, his apostles carried the gospel throughout the land, baptizing and starting congregations. Eventually though, the original Church of Christ began to fade away. All but one of the apostles were martyred. The apostolistic priesthood authority to bestow priesthood keys was lost from the Earth, as well as many of the teachings of Christ forgotten. This period of time is called "the Great Apostocy" and brought to earth what we refer to as the Dark Ages. Without Gods divine direction, Christianity had to rely upon human thought to interpret scripture and many truths were lost, confused, and fought over. Many false ideas were taught as the Gospel truth, when in reality they were ideas of man. Centuries later, inspired people, such as Martin Luther and John Calvin recognized that practices and doctrines had been changed or lost and tried to reform the churches to which they belonged. But without the authority of the apostles of the Lord Jesus Christ, His gospel and church could not be returned to their original form. There needed to be a restoration of apostlistic authority, priesthood keys, and revelation from God. This is why the Lord restored the church in our day through Joseph Smith. I love this video because it shows how jesus is not just here to heal us from sin but from pain. He is here for us, then, now, always. He is here for you. Call on him. No matter where you are , Jesus Christ's love is universal. Show us where you see His influence in your life. 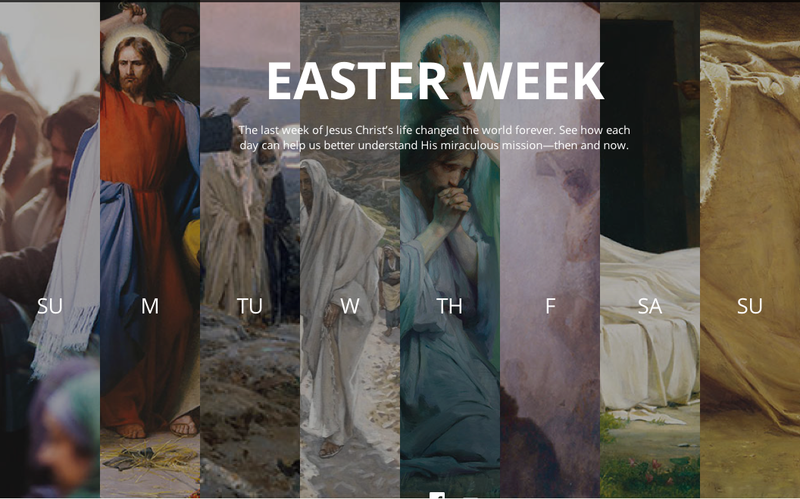 Share your experiences on Facebook, Twitter, or Instagram using the hashtag #BecauseHeLives.